Yesterday Bristol Wireless volunteers Jim and your correspondent attended the afternoon session of the two Wiki Wildlife Edit-a-thons (news passim) that were jointly organised by Wikimedia UK and Wildscreen’s ARKive project, the Bristol-based digital archive of the world’s endangered species, which has kindly donated 200 items from its text archive on endangered species to help improve Wikipedia’s content on those species. Besides we two souls from Bristol Wireless, the session we attended also featured attendees from UWE‘s Insitutute of Bio-Sensing Technology and Bristol University‘s Centre for Public Engagement. 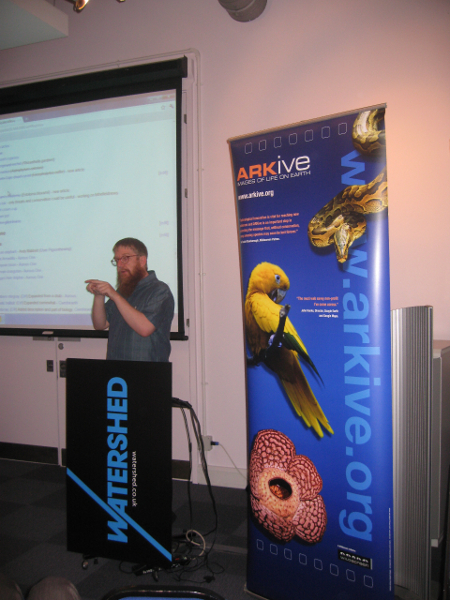 The event, which was held at Bristol’s Watershed, started with introductions on the work of Wildscreen and ARKive from Ellie and Helen, after which it was over to Wikipedians Martin Poulter and Andy Mabbett to introduce Wikipedia and its sister projects. 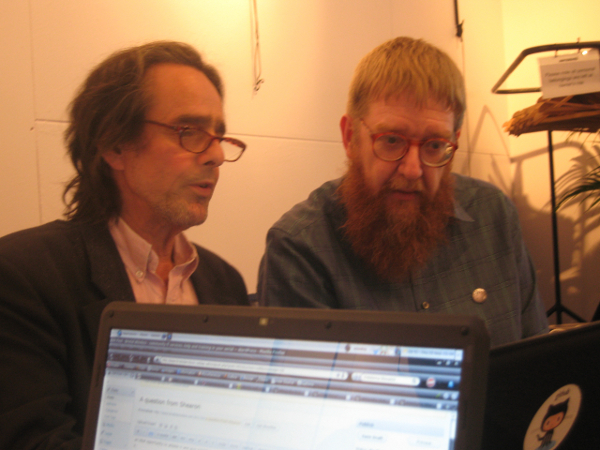 In spite of the silence that would have been expected at such an event – apart from the gentle tap on keyboards – there was plenty of noise as people discovered that editing Wikipedia can indeed be fun. All the time the action was being relayed via Twitter with the #glamarkive hashtag by the dedicated social media team of Steve Virgin and Christina Zaba at the back of the room. All told, it was a most enjoyable event at which even seasoned ‘veterans’ such as Andy and myself gained some knowledge. Searching via the Twitter hashtag mentioned above, I have discovered that the editors for the evening session included BBC people, long-standing and new Wikipedia editors, and a Wildlife Trust staff member. If you can add any more to this very limited information, please feel free use the comments form below. Thanks for another great write-up, Woodsy, and great to see the two of you on the day. Just a small correction: ARKive hasn’t shared *all* its text articles with Wikipedia: in this pilot project, two hundred articles have been selected and re-licensed. As we saw on the day, integrating the ARKive and Wikipedia articles on two hundred species is a lot of work to be getting on with. I agree wholeheartedly that integrating the ARKive material with Wikipedia for 200 species is lots of work; I felt exhausted – but very elated – after doing just one.